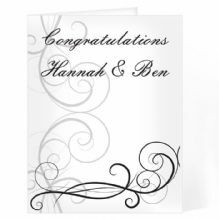 Personalise his Black Swirl Wedding Card With Your Message. 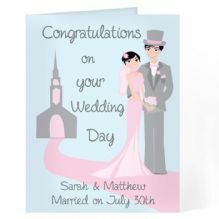 Personalise this Fabulous Wedding Couple Card. 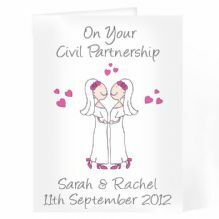 Personalise this Female Partnership Card. 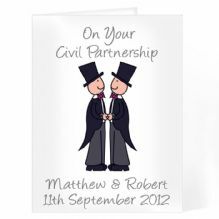 Personalise this Male Partnership Card. 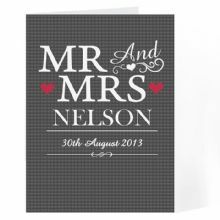 Personalise this Mr & Mrs Card with the couples surname. 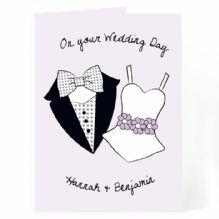 Personalise this On Your Wedding Day Card. 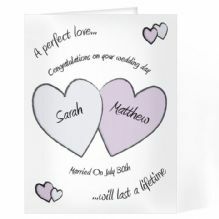 Personalise the card with a name in each heart.